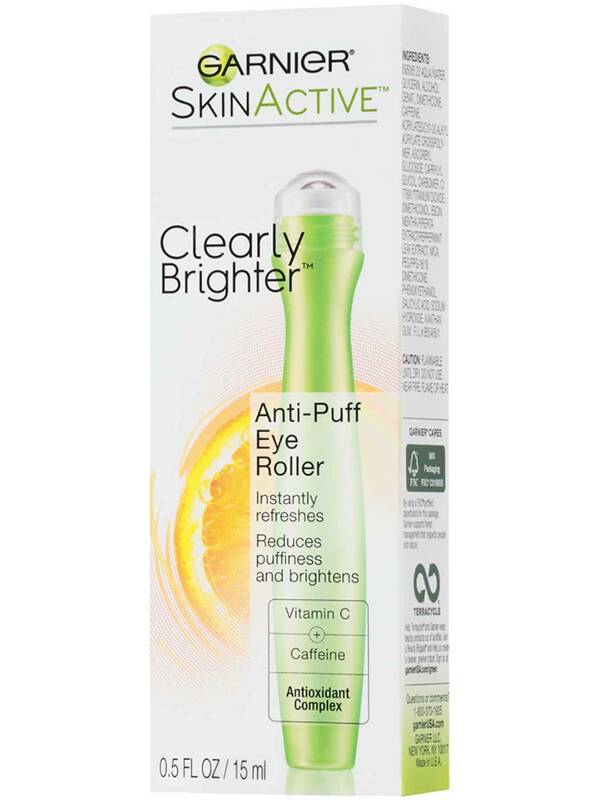 Instantly corrects dark circles and brightens. This 2-in-1 eye care + concealer formula with Antioxidant Vitamin C, Caffeine and tinted mineral pigments instantly covers dark circles and shadows. 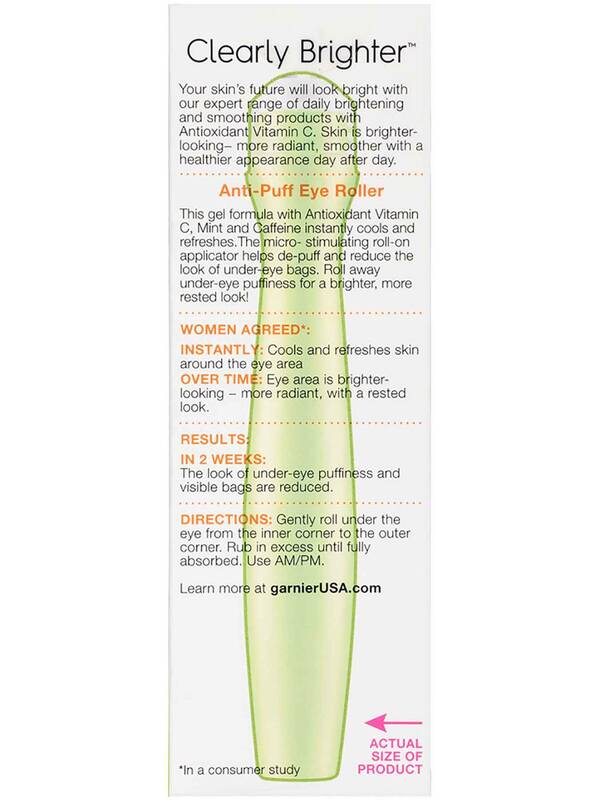 The micro-stimulating, roll-on applicator refreshes and wakes up the eye area. 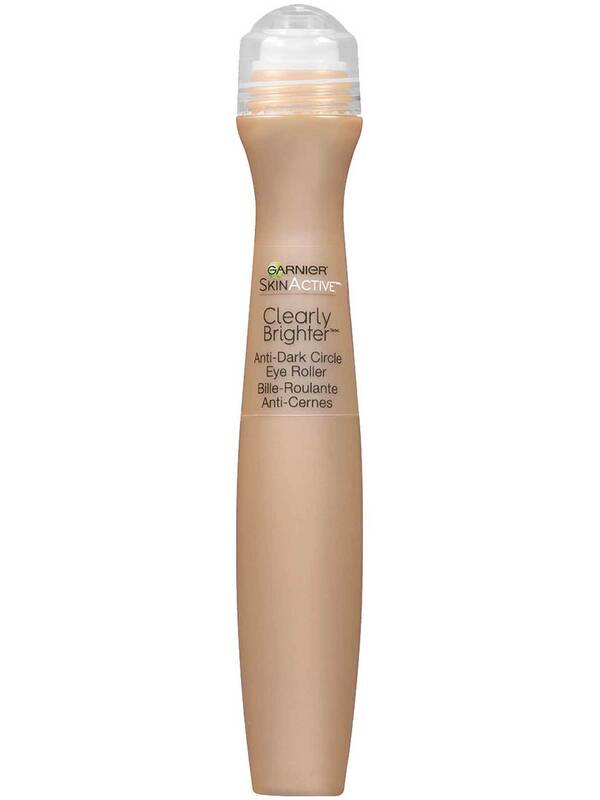 Roll away dark circles for a brighter, more even look. FLAMMABLE UNTIL DRY. DO NOT USE NEAR FIRE FLAME OR HEAT. AVOID CONTACT WITH EYES. IN CASE OF CONTACT WITH EYES, RINSE IMMEDIATELY. CONSULT A DOCTOR IF IRRITATION PERSISTS. Gently roll under the eye from the inner corner to the outer corner. Rub in excess until fully absorbed. Use AM and as needed throughout the day. Aqua/Water, Cyclopentasiloxane, Alcohol Denat., Butylene Glycol, Ethylhexyl Methoxycinnamate, Phenyl Trimethicone, Peg-10 Dimethicone, Squalane, Bis-Peg/Ppf-14/14 Dimethicone, Magnesium Sulfate, Talc, Nylon-12, Maltitol, Disodium Stearoyl Glutamate, Aluminum Hydroxide, Sorbitol, Caffeine, Citrus Medica Limonum Extract/Lemon Fruit Extract. [+/- May Contain: CI 77491, CI 77492, CI 77499/Iron Oxides]. Rated 2 out of 5 by Haydeefm from Please Bring Back the Yellow!!! The yellow was my go to concealer. It worked wonderfully. Covered all discoration and did not crease. Garnier, why have you chosen to limit the color options? Rated 5 out of 5 by Yany from We need medium deep back Disappointed !!!! I need medium deep brink then back!!!!! Rated 1 out of 5 by AnaM211 from Shade Discontinued Like most others, I'm disappointed in Garnier having limited the different shades after having generated a market and loyal customers. 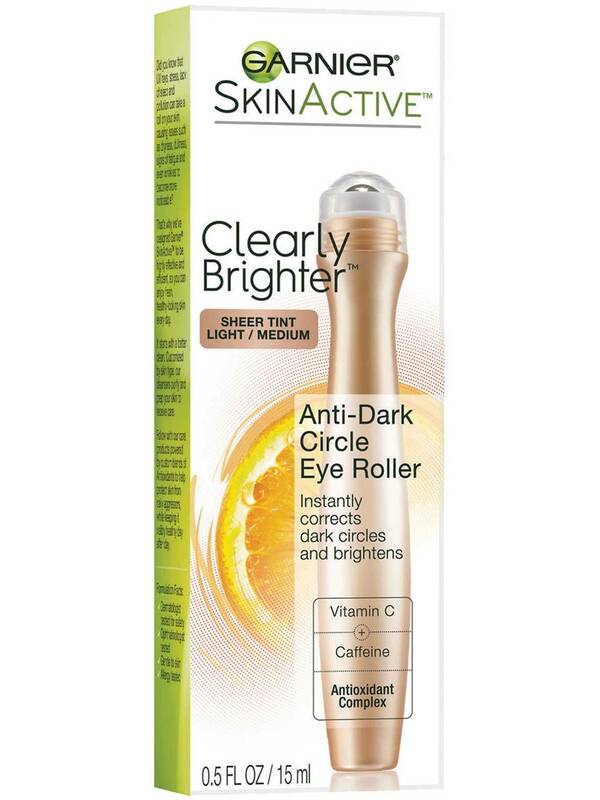 Light/Medium is too dark and defeats the entire purpose of using this as an "Anti-Dark Circle" solution. Please bring back Fair/Light. Honestly, this product is the only one that naturally conceals imperfections without being caked or creased. Rated 5 out of 5 by Silvie72 from Fantastic Product I'm over 45 years old and so I bought this product because my dark circles are getting darker. It really does the trick. It doesn't make your eyes crease up or look caked up. It looks very natural and after two weeks the dark circles are starting to lighten up. I highly recommend this product. Rated 4 out of 5 by Missicamps from Use as follows for best results! I’ve found this product to be pretty good. It not only helps with dark circles but reduces puffiness. It doesn’t take the place of concealer but if put on lightly, tapped out evenly and allowed to dry it is a great base coat that doesn’t crease anything like concealers do. My recommendation is to put on foundation after the roller is applied as I described and the apply concealer but very lightly, you won’t have to use as much and so you’ll have much less creasing. I personally don’t wear makeup daily, but use a moisturizer, facial sunscreen, and this product under the eyes (lightly). Have been using this product for 3 years and will not do without it! Will add that garnier needs to bring back a medium/dark for darker complexions! Rated 3 out of 5 by Lexy hannah from Make medium/dark Light/medium works for me but it does not work for my mother and it is so annoying that there is only one shade. On the other hand I like this product very much, it brightens, it does not crease and it is very refreshing when I apply it. GARNIER YOU HAVE TO MAKE A MEDIUM/DARK!!! !